On Saturday February 20th I ran the Charlotte 10 miler for the 3rd time. 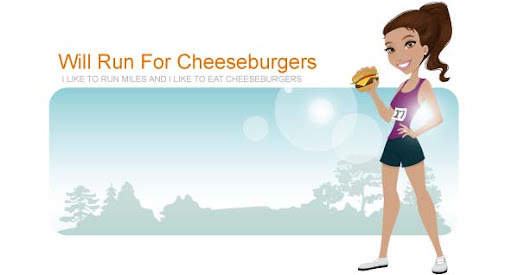 The night before the race I made sure I had a cheeseburger and 2 beers ... you know for tradition's sake ... for good luck ... whatever. Modifications included no lettuce and tomato, add pickles, sub garlic aioli for the Cowfish sauce. Side was the French fries. Their fries are by far my favorite part of dining there. Price point is a little steep but it's a huge burger and I ended up giving Ryan some of it. The next morning I woke up at 6:30am and got myself ready for the race. The forecast was low 40's and cloudy so I wore compression socks, shorts, a long sleeve top with my Charlotte Running Company "racing team" shirt on top. Had to wear my UCF hat for good luck since I've worn it at most races I've run. I ate a granola bar and headed out to the race at around 7:05. I got to the parking garage for the race with what I figured was plenty of time. I took my time wandering over to the port-a-potty area and noticed some super long lines. Unfortunately I didn't get a chance to go before the start of the race because the announcer said 5 minutes until the start and I figured it wasn't worth being late. Some of the race takes place through neighborhoods, while the majority takes place along the Greenway. It is by far my favorite place to run along in Charlotte. I kept up a pretty good pace and hit the 5 mile mark in 39:20 minutes and felt good about hitting my overall goal of 1 hour 20 minutes. Although I put a couple of gummy candies in my Spibelt I never got a chance to eat them. My hands were too cold to fumble with the zipper and I didn't want to slow down. I also skipped all of the water stations. During races if I slow down there is a good chance I won't start back up. Call me an old, rundown car. Unfortunately by the time we hit mile 8 we entered some treacherous neighborhood with some killer hills. I mean what the heck race people ... why end the race on that note? Although the hills did stop by mile 9 which gave us 1 glorious mile to kick it into gear and finish fast(ish). You would think I would've remembered those hills from the last 2 races I did but I guess my subconscious blocked it out. Best part of the race BY FAR was high fiving Mason right before I finished. It's always so much fun to see my boys cheering me on. Back in 2014 I finished in 1 hour and 23 minutes and in 2013 I finished in 1 hour and 28 minutes. At least I've been showing improvement each year that I've finished the race. Would love to shave those 18 seconds off my latest time. This is a great race! I love the 10 mile distance. The weather is always iffy ... in 2013 it rained the entire time ... in 2014 they rescheduled the race because the course was wrecked from rain. This year it was cold but so much better without the rain. I hope to run this again next year!